Mice Problems – Do You Have a Mouse in Your Raleigh House? 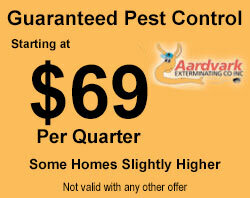 Call the professionals at Aardvark Exterminating to help with mouse removal or other rodent problems in your your Raleigh home or workplace. 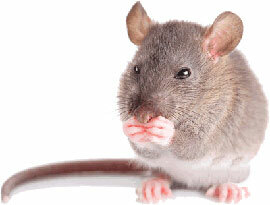 Mice are cute little creatures, but NOT in your house! Usually you just see the evidence of the little rodents. Mice are found anywhere people live – they are attracted to food and warmth. Obviously, the problem with mice (besides the fact that they get into and spoil your food) is that they reproduce quickly – now you have a nest of 5-6 baby mice! The average mouse will reproduce a litter once every two months and have 50-60 offspring. If you do not control mice quickly, you will have many more to deal with. There are also estimates that show up to 25% of “electrical wiring” house fires were caused by mice gnawing on the wires. Problems with mice in residential houses has increased as houses in Raleigh continue to restrict wooded areas. Control of house mice requires proper sanitation, exclusion procedures, and population reduction or control methods using traps. 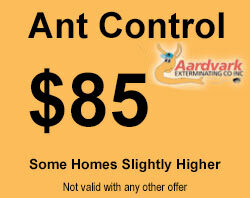 Call 919-577-9003 for a free mouse removal price quote or send us an email.